searching for a taste of home. of the Call to Prayer. Kathleen Dodd from “My Beautiful Bahrain” by Robin Barratt. While browsing the local section of one of my favorite bookstores, I have found an interesting graphic novel titled “The Awakening of Shamal: No Time to Waste!” by Anna Thackray. While living in Japan, I developed an interest in manga, therefore I was immediately attracted by this novel’s detailed cover. The author is a British expat and a professional artist. The novel is based in Bahrain and it is the first of a trilogy. The story contains both historical and fantastical elements. The illustrations include animals and Bahraini landmarks such as the Tree of Life, the Bahrain World Trade Center, and the Twin Towers. I am looking forward to the second chapter of this trilogy, which should be available by the end of this year. 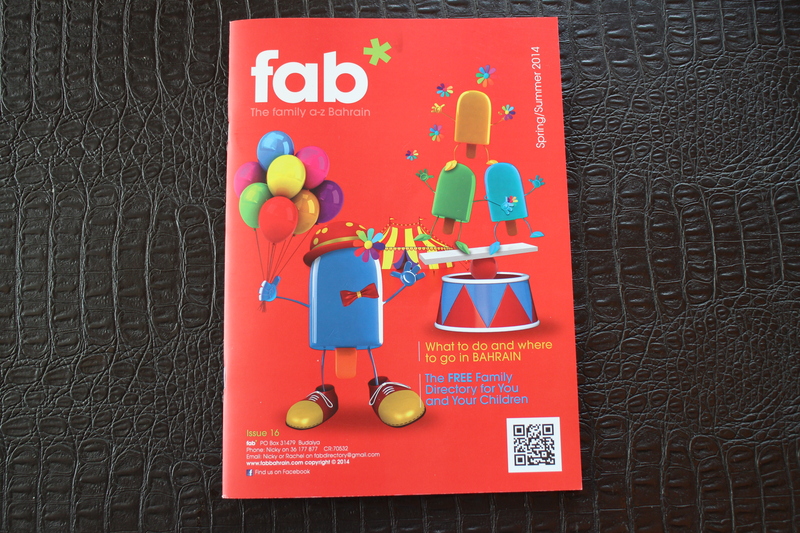 In Bahrain, there are a few publications that are available free of charge: Bahrain This Week, Weekender, and Fab. 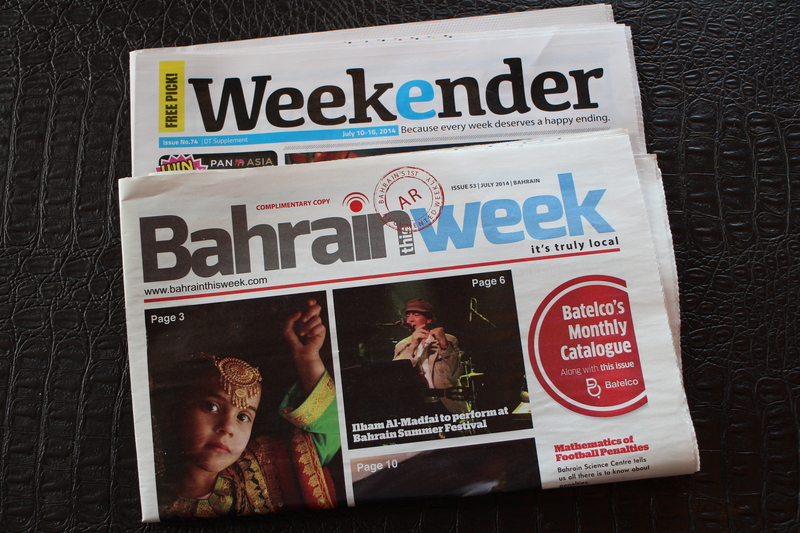 Bahrain This Week claims to be “the island’s first augmented weekly” and it covers local events as well as some interesting advice on travel, health, motors, and technology. The last few pages feature reviews on books, games, and movie trailers that can be viewed on your smartphone or on your tablet with the GoLive app. Bahrain This Week and Weekender. All rights reserved.